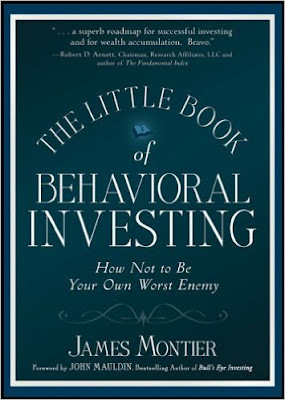 Evidence of this harmful investor behavior can be found in the annual Dalbar studies, which measure the actual returns achieved by investors rather than the returns from a passive index, such as the S&P 500. They also capture the degree to which investors attempt to time their entry and exit to the market (among other things). The results aren’t pretty. Over the last 20 years, the S&P 500 has generated just over 8 percent on average each year. Active managers have subtracted 1 or 2 percent from this, so you might be tempted to think that individual investors in equity funds would have earned a yearly 6 to 7 percent. However, equity fund investors have managed to reduce this to a paltry 1.9 percent per annum. This results from buying and selling at just about the worst possible point in time. Sure looks like Ben Graham was right—we really are our own worst enemies.